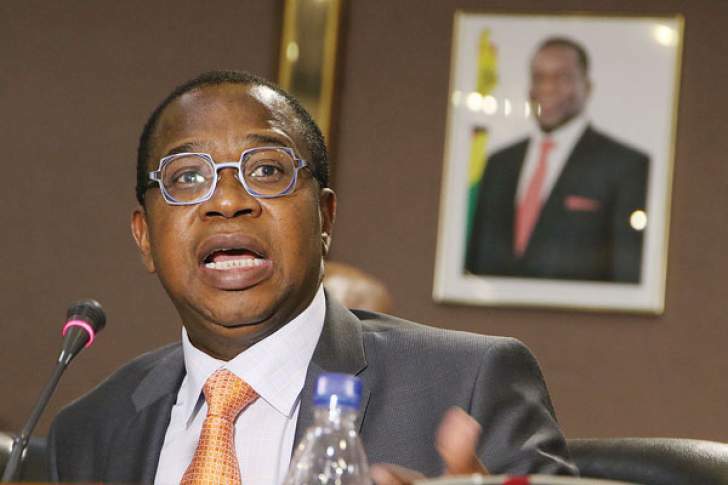 THE Minister of Finance and Economic Development, Professor Mthuli Ncube, yesterday assured civil servants of a bonus incentive for 2018 whose finer details would be clarified in due course in line with ongoing fiscal stabilisation measures and recognition of hard work. Speaking on the state of the economy at the on-going 2019 Parliamentary pre-budget conference in Bulawayo, he stressed the need to instil fiscal discipline, the lack of which has been blamed for the ballooning budget deficit in the last few years resulting in prevailing economic challenges. In line with the Transitional Stabilisation Programme (TSP) and the drive towards an upper-middle income economy by 2030, Prof Ncube said taming public expenditure, especially wage bill containment, was at the heart of fiscal stabilisation measures while stimulating investment. He, however, said civil servants will be rewarded for their hard work. "I feel that we need to walk the talk. In the previous budgets we have said we will do something about making sure that we deal with this issue of freezing non-critical posts, enforcing retirement policy," Minister Ncube said, adding: "and the bonus, you know, should not be an entitlement but it should be within affordable levels. "So, I won't say what will happen with bonus this year yet but you can be sure that we are going to do something that will be a thank you to those who have worked so hard through the year but at same time cognisant of the need to tighten our belts." Under the TSP (2018-2020) launched last month, Government is already implementing a raft of belt-tightening measures to stabilise the economy. Widening budget deficit estimated at $2,9 billion in 2018, from $1,4 billion in 2017, has become a headache to Government with its crippling effect evidenced by the foreign currency squeeze and subsequent strain on productive sectors, emergence of the parallel market and rampant price distortions. These challenges need to be tackled head on, said Prof Ncube who rallied the legislature and the private sector to play their part and restore sanity in the country's economy. He noted that as efforts were being made to unlock investment opportunities in key sectors of the economy such as agriculture, mining, tourism and services industries, Treasury was also scaling up domestic revenue mobilisation, which will enable Government to finance more development projects and increase social services. He said this requires tightening of surveillance at border posts to weed out corruption. As such Prof Ncube said a new Zimra board would be appointed soon to do the "right thing" by dealing with graft and improving revenue collection. Prof Ncube also challenged Zimra to work closely with the police and give them the tools they need to police borders, including use of drones. Government is also paying critical attention to the external sector and is engaging the international community and multi-lateral finance institutions with the view of addressing foreign debt, which hampers the country's risk profile and ability to unlock fresh lines of credit. In that regard the minister expressed concern over the dilapidated state of infrastructure in key embassies such as South Africa, United States and the United Kingdom. "These are key missions for Zimbabwe and I must say we need to support those embassies, buildings are falling apart. We have got an ambassador who walks in some streets of a particular capital city. "We don't have an official car to carry His Excellency when he visits. While we rationalise we need to pay attention to these key embassies and give a good image," he said. Similarly, Prof Ncube said there was no going back regarding the reforming State-owned enterprises and parastatals some of which will be privatised or liquidated. He said this sector needs to be revamped to play a significant role in the economy.